I thought I would do a Throwback Thursday post. Let's see if I can keep it up every week! 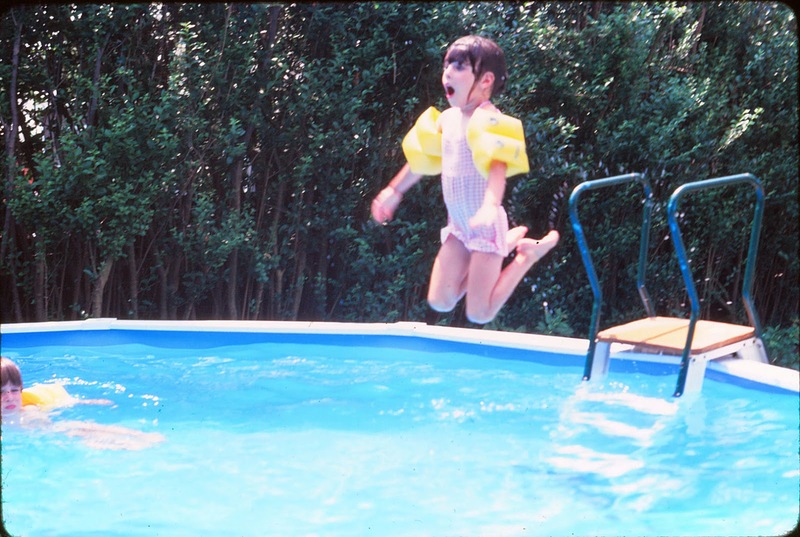 I love going through old photos of the girls and of my own childhood. My Dad has been scanning old slides into the computer and my Mom sent a few photos my way. These photos are of me when I was a little girl, maybe around 6 or 7 years old. 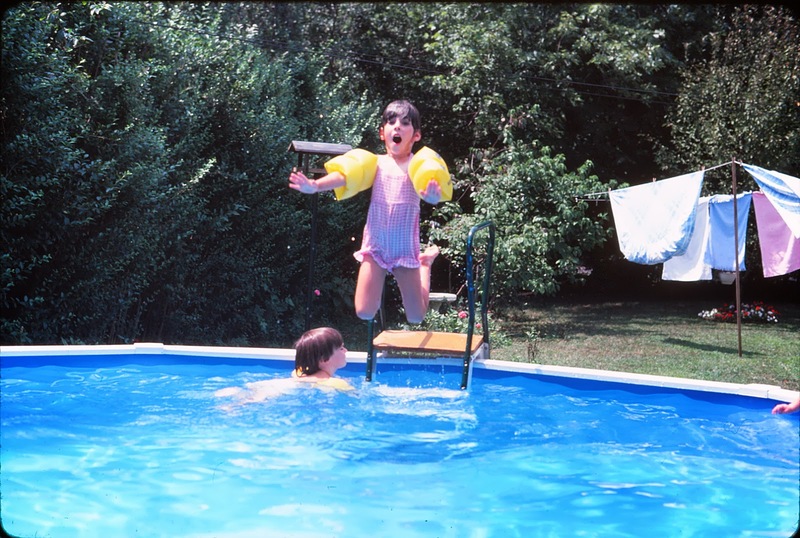 My Mommom used to have an above ground pool in her backyard. 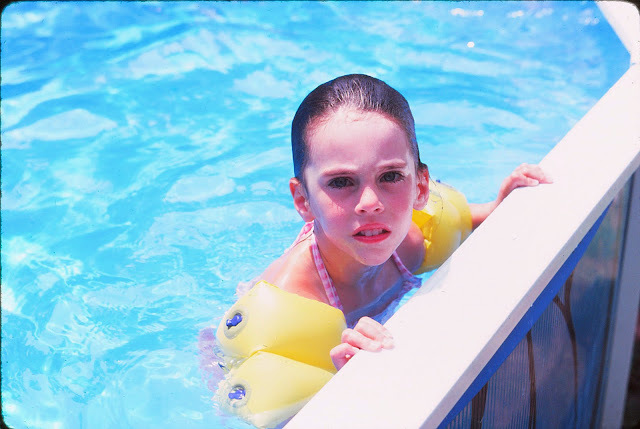 I remember visiting her to swim, the smell of the chlorine, the cold water, my Dad throwing us up in the air to splash down. The memory that sticks with me the most is the time when I decided to try putting the swimmies on my ankles instead of my arms. I figured I could be a champion swimmer if I could just keep my feet afloat. Unfortunately, that crazy thought caused my top half to dunk under the water immediately. Thankfully, my Dad was close by to rescue me. Needless to say, the swimmies stayed where they belonged for the rest of the summers. Although not the official start, Summer will begin for us in just 6 short days! The girls will be out of school and they are already dreaming up things to put on this year's 100 Things to Do Chart. Note: Don't forget to leave a comment to win a $25 Gift Card to Vitacost.com HERE! A great little bonus to help stock up on all your summer essentials! Giveaway ends Father's Day, June 16th @ midnight.